The players–Kamasi, Terrace, Thundercat, Ronald, Miles, Ambrose, etc–have been getting a lot of shine lately. Many of them worked on Kendrick’s To Pimp A Butterfly. But make no mistake, they’ve been honing their craft in a vibrant LA scene for years. 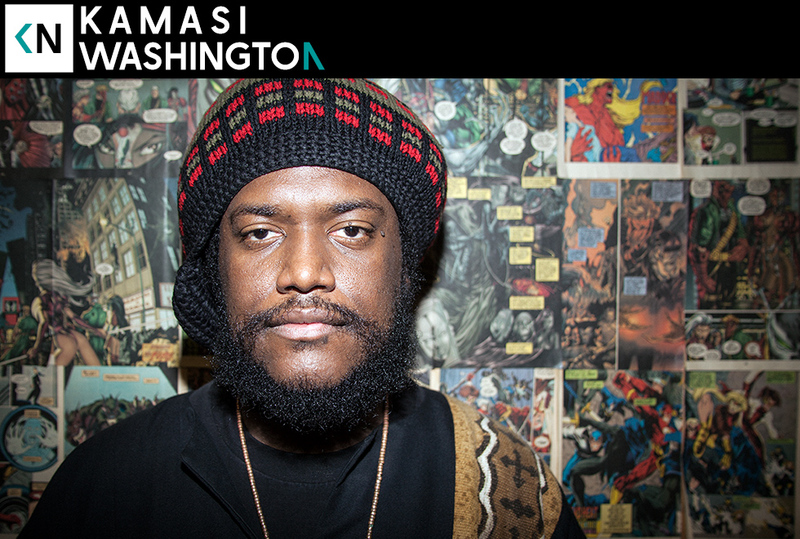 Hear Kamasi Washington talk about how he almost ended up as a physicist instead of a musician, how playing hip hop live changed his thoughts on how to play jazz, and how the saxophone chose him and not the other way around. This series is rad dude. Please keep going, I love all the conversation you have with these artists. I live in Lincoln Nebraska and I don’t have access to culture anything close to the folks you talk to down there in L.A., and every episode I learn a little more about a world that’s super different from mine. Would you consider playing the audio from the music you record at Cosmic at the end of your podcasts? I don’t have easy internet access, I run the episodes over data on my phone and YouTube videos don’t load well for me.